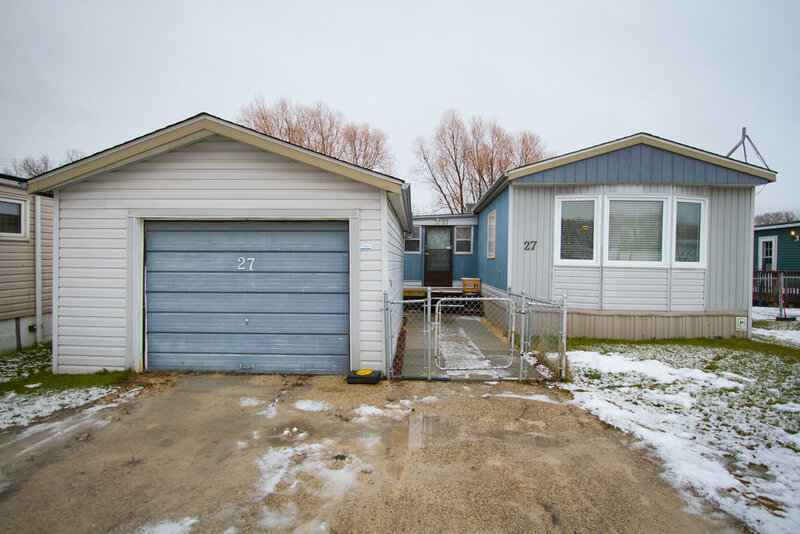 Welcome to a turnkey mobile home located in Pineridge Trailer Park--one of the best parks in the province! You will love the open concept kitchen with tons of cabinetry, nice appliance package, laminate flooring, and décor paint tones. 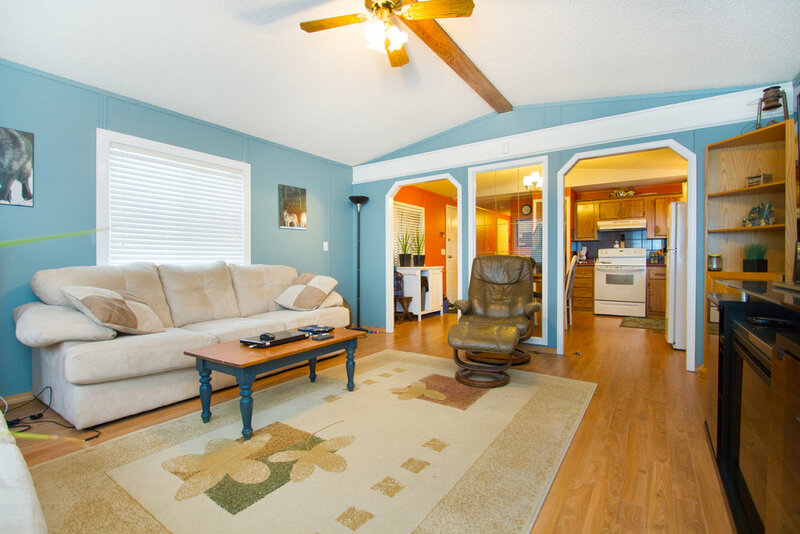 The 16x15 living room has 3 large windows that allow tons of natural light and lots of room for entertaining. The home also offers 2 nice sized bedrooms, and an updated large 4-piece bathroom. The current owner has recently renovated the storage area at the back of the home, which provides ample storage space for all your goodies. Other updates include an amazing side deck perfect for the BBQ & new furnace motor 2014. 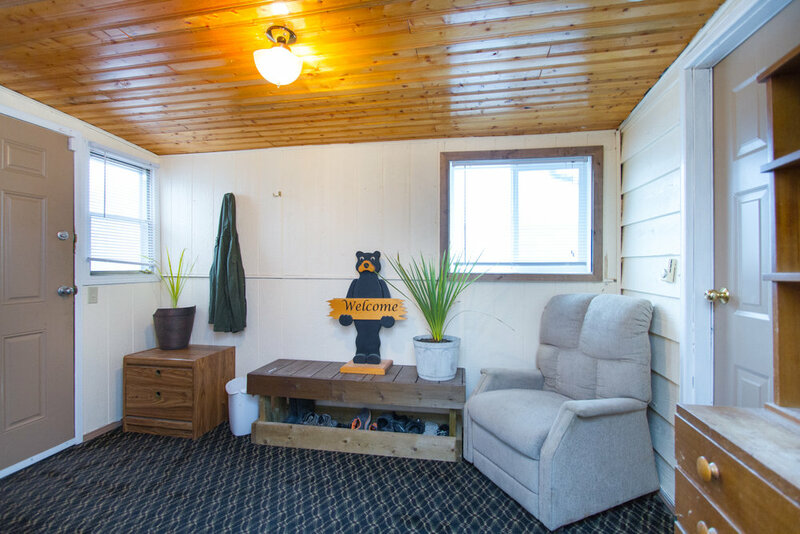 The backyard is landscaped and comes with a large utility shed, and there’s an oversized single detached garage for your vehicle. The location is perfect--20 min from downtown, and less than an hour away from the beach! Just move in & enjoy! Thank you! We will be in touch to schedule your showing shortly.